Around 150 Jersey Hockey youngsters will attend Living Hockey camps on Friday and Saturday. 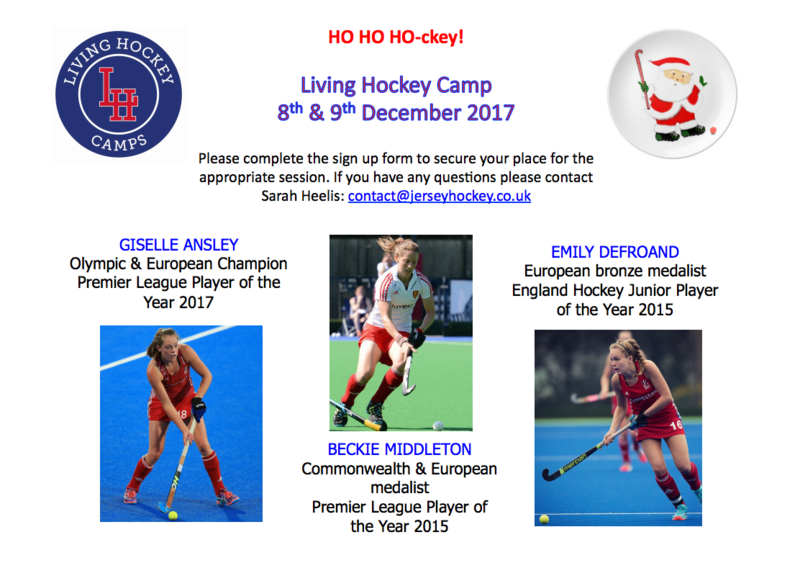 Now becoming a regular feature on the Jersey Hockey calendar these sessions feature three great calibre coaches, Giselle Ansley (Olympic & European Champion Premier + League Player of the Year 2017, Emily Defroand (European bronze medalist England Hockey + Junior Player of the Year 2015) and Beckie Middleton (Commonwealth and European medalist + Premier League Player of the Year 2015). Camps will run for ages 5-16 giving hockey youngsters yet more exposure to quality coaching.